Let’s start the year right by looking at the most traded currency pair, EUR/USD! As you can see, the pair is currently making its way down after finding resistance at the 1.3000 major psychological level and 61.8% Fib. From the looks of it, the pair still has some room to go down, especially since the Stochastic is not yet in oversold territory. If you’re bearish on the pair, aiming for former lows around the 1.2950 level is a good idea. Oh my! 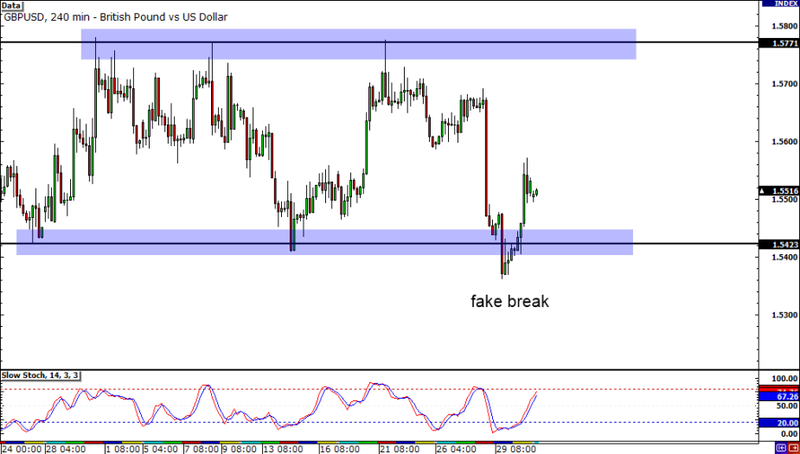 I hope you didn’t fall for the fake break on the 4-hour chart of GBP/USD! 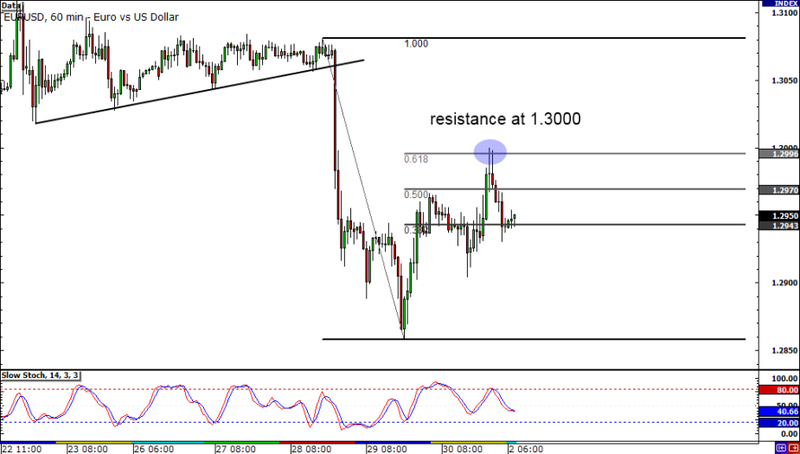 It appears that the pair managed to hold its range yesterday as price bounced from the 1.5400 handle. With the Stochastic pointing up, it looks like we’ll see the bulls continue to buy up the pair for another retest of the top of the range. 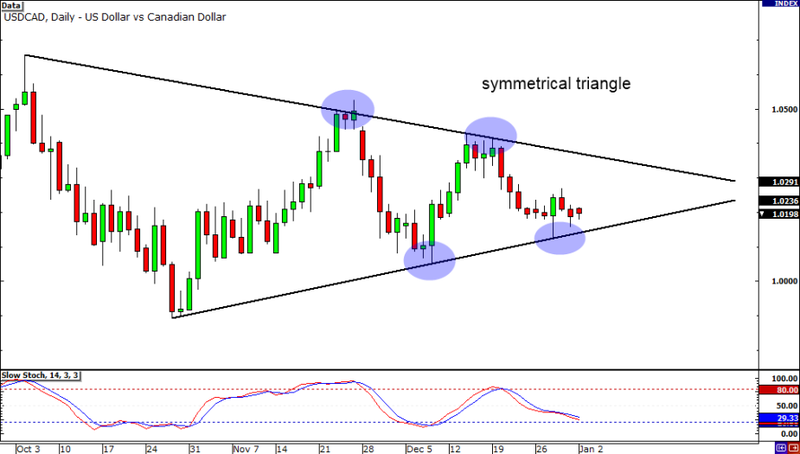 Is that a symmetrical triangle I see? Why, yes it is! If you’ve finished the School of Pipsology, then you’d know that this is a breakout pattern. As price consolidates, the likelihood of price breaking through one of the trend lines increases. If you’re bearish on the pair, then look for a close below the rising trend line to support your bias.